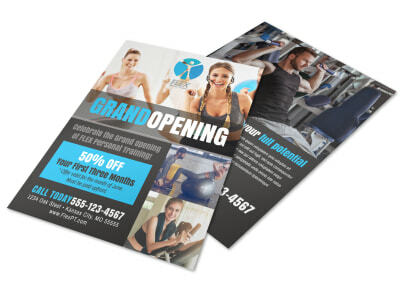 Customize our Gym Grand Opening Flyer Template and more! 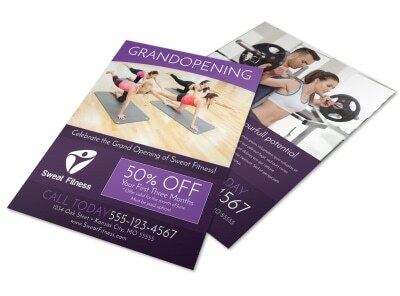 Call on couch potatoes in the local area to get up and get moving with this flyer to announce your gym’s grand opening. 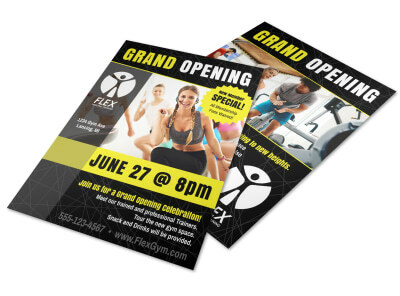 Give a rundown on the 411 info that interested fitness buffs need to know. 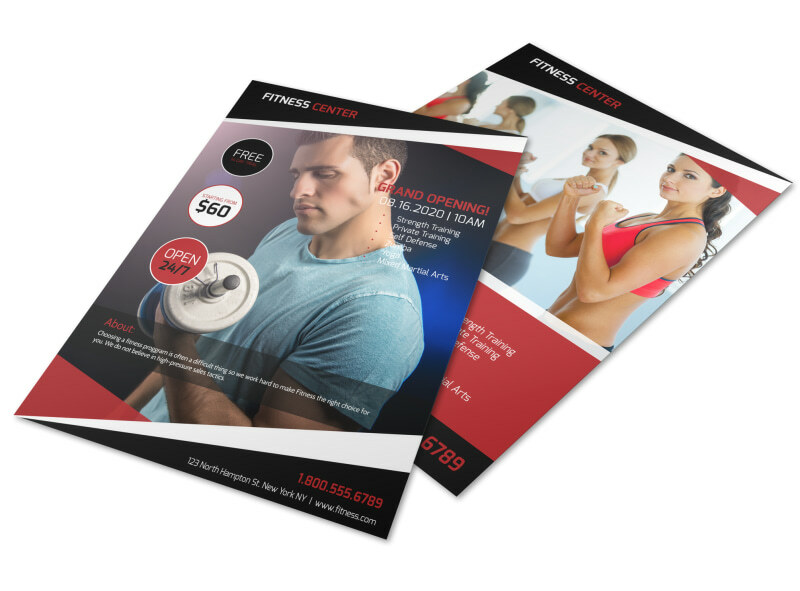 Provide photos of your equipment, info on trainers and classes, and then print your flyers for instant use and distribution. Begin today!